Season finales are an appropriate occasion to drop in on a couple of 2018’s under-the-radar gems, right? Here’s what’s happening in the world of television for Wednesday, March 14. All times are Eastern. 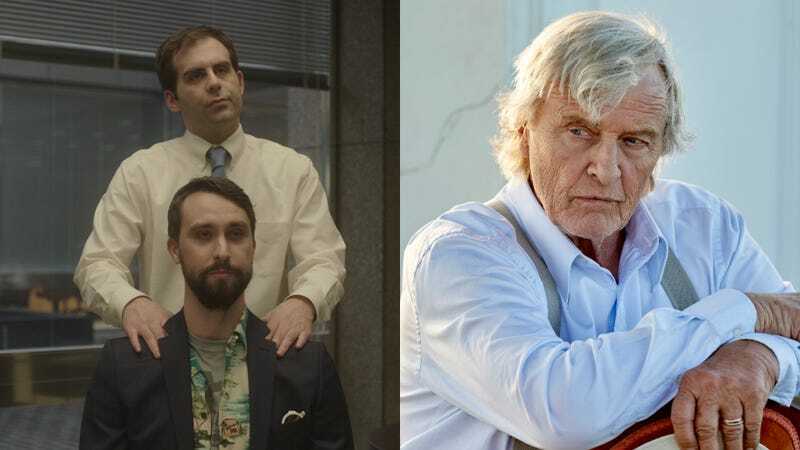 Corporate (Comedy Central, 10 p.m.)/Channel Zero: Butcher’s Block (Syfy, 10 p.m.): One recommendation from your substitute What’s On Tonight correspondent, another from your usual Wednesday WOT guide. In its first season, Corporate built a soul-crushingly hilarious nightmare workplace of killer PowerPoint presentations, all-consuming watercooler TV, and partnerships with influential street artists; according to The A.V. Club’s own Alex McLevy, Channel Zero’s third installment brings a particularly, shall we say, tasty subtext to its adaptation of the creepypasta Search And Rescue Woods. Both come to an end tonight, but thanks to our time-flattening digital future, they’ll be waiting for you to watch on-demand, whenever you’re ready, forever and ever and ever. Krypton: Making Of The Legend (Syfy, 11 p.m.): Following the Channel Zero finale, stick around Syfy for a preview of the latest addition to the “superhero story before the superhero shows up” genre. (Though Krypton changes that up with the inclusion of Adam Strange and Brainiac.) Or watch it on YouTube, because, you know, time-flattening digital future.